Last Friday, the first DLC pack was released for the Legend of Zelda Breath of the Wild. Titled the Master Trials, this pack included some new armour, a special Trial of the Sword enemy gauntlet and a harder difficulty named Master Mode to name but a few additions. And like every dedicated Zelda fan, I played the hell out of it. Indeed, in the two days between Friday and today, I literally completed the entire game all over again in Master Mode. All four divine beasts, the final fight against Ganon, most of the shrines… you name it, I did it. So after all that playing (and a bit of time to analyse things), how does it stack up? Does the first DLC pack for The Legend of Zelda Breath of the Wild stand up to my expectations? Is it worth the money? On the one hand, there are a lot of things to like in this DLC pack. You’ve got incredible looking armour, with stuff like Majora’s Mask and the Phantom Armour being obvious highlights. The new enemy placements in Master Mode (like the Lynel on the Great Plateau) work well and the convenience features are all really well implemented. In that sense, it’s a solid product. Yet at the same time, something still feels rather disappointing about it. For instance, go back to Master Mode for a minute. Does anything here feel like something you should be paying money for? In my opinion, the answer is no. It’s neat yes, and it is fun to play through again if you’re a big fan of the game. But it’s also quite low effort in its setup. It feels like every feature and addition could have been included in a built in Hero Mode with minimal extra work. But at the same time… it’s also a completely trivial addition to the mode. 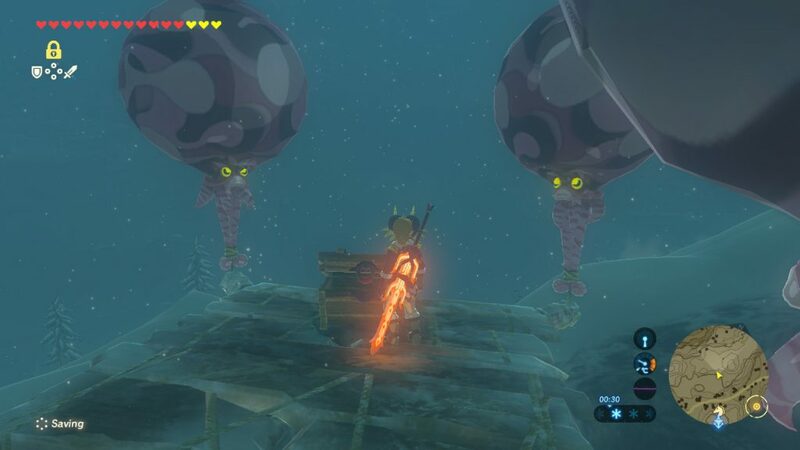 For example, thanks to them (obviously) requiring water nearby, you will never encounter a single raft anywhere near the Eldin region, nor will you see any in the Gerudo regions. Heck, even places with water in (like Akkala) feel like they have maybe four floating rafts in the entire map sector. So the minute you go further afield than the Great Plateau and Central Hyrule (where it feels like 90% of the new enemy placements and rafts are concentrated in), the game basically turns into Normal Mode again. The rafts completely stop showing up. And that seems to be a sort of trend with this mode. It feels like Nintendo put all the ‘effort’ into the first few areas of the game, and then just said ‘sod it’ when it came to the rest. For example, The Great Plateau has a Lynel on it. 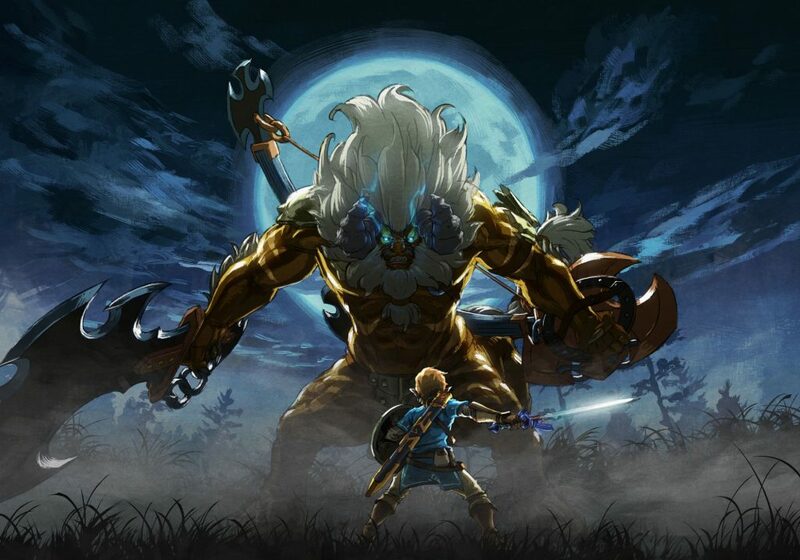 That’s the only ‘new’ Lynel exclusive to Master Mode. Same goes with Bokoblins blowing their horn to summon help. They certainly exist in multiple places, but they get a lot rarer the further you get from the starting point. It’s a trend running through the DLC. Interesting idea gets introduced, not a lot actually gets done with it. On the other hand, at least the regenerating enemy health and rank up mechanics stay consistent here. Almost every red Bokoblin and Moblin is now gone (with two exceptions maintained solely for Compendium completionists), in their place are Blue or Black variants instead. And whereas before staying back and slowly picking off large groups of monsters with bombs was a valid strategy, regenerating health tosses that out of the window. It’s arguably been made more ANNOYING than hard. Seriously. I’m not dying to enemies all over the place here. In fact, I’ve died about 4 times in the entire game so far (that’s about 60 hours of playtime including the entire storyline). But the battles now just take ten times longer. And that… isn’t fun. Really, it isn’t. 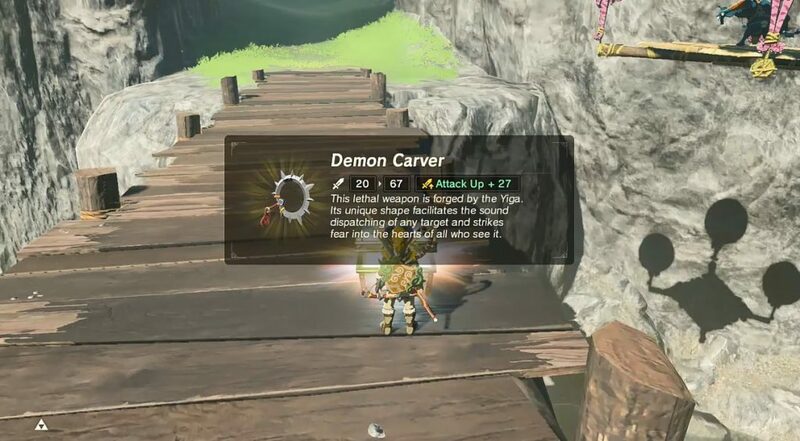 when every ‘upgraded’ Shrine Guardian takes about 5 minutes and 5 weapons to kill because of how much health it has now, that’s just boring. 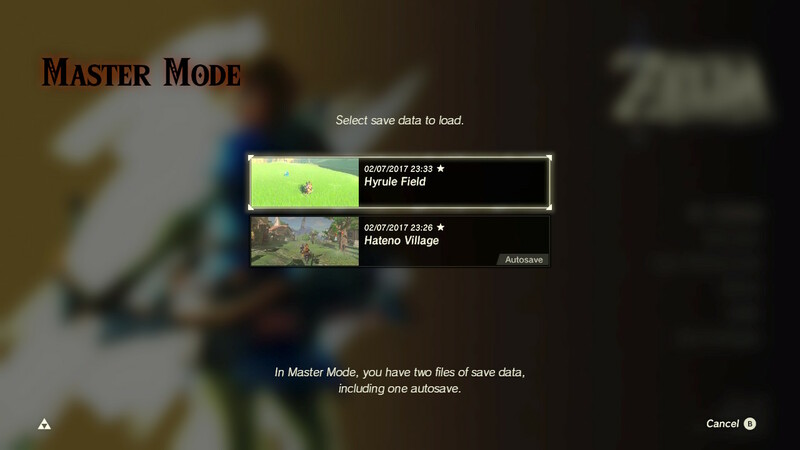 What’s more, this problem is endemic throughout Master Mode. Which gets even worse when golden enemies are introduced. Remember how much silver enemies are walking tanks in the original game? Yeah, gold enemies seem to have about twice as much health. This meant that whenever I encountered one, it ended up with me mashing the hell out of the attack button while the enemy was repeatedly beaten into a corner. What else can you do here? If you’re inside Hyrule Castle, you certainly don’t have a nice pool of water to bash them back into. There are rarely explosive barrels lying around to take advantage of. Fall damage is basically a non issue. So as far as Master Mode goes, it’s not really all that. Not really bad, just a tad annoying and kind of underwhelming overall. But what about the rest of the additions? Like the new armour? Well, that’s a mixed bag too. 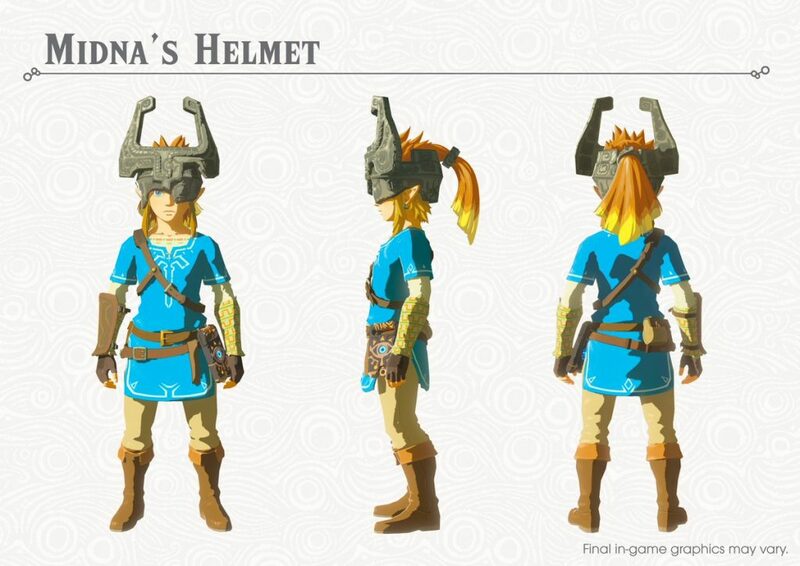 On the one hand, you now have some nice looking armour sets like the Phantom Armour, Midna’s Helmet and Majora’s Mask. But then at the same time… most of them are pretty useless. Like Midna’s Helmet? Yeah, I did too, until I realised it was literally a Diamond Circlet that can’t be upgraded. 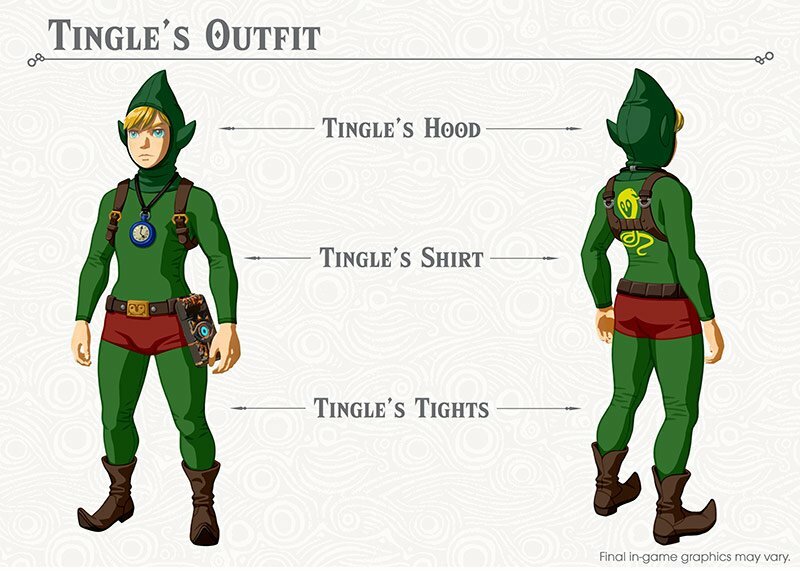 Tingle’s Outfit? Identical to the Dark Link Outfit, except ten times more embarrassing looking. And that’s the case with most of these outfits. They’re worse versions of clothing already included in Breath of the Wild. So again, it feels like the minimum amount of effort was put in here. Clone some existing armour, change the aesthetics, call it a day. Well, except with Majora’s Mask that is. Because Majora’s Mask is singlehandedly the best and most broken addition in the entirety of Breath of the Wild. 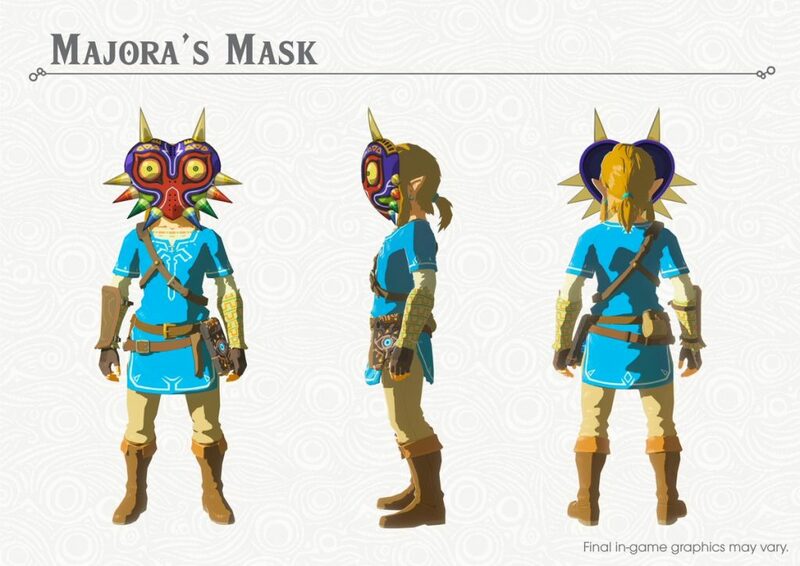 Because it acts like every single mask sold by Kilton… at once. Yes really. You can blend in with Bokoblins, Moblins, Lizalfos, Lynels and their skeletal versions with one piece of clothing. Sounds good you might think. And you’d be right. Problem is, it’s too good. Remember, Breath of the Wild (like Skyward Sword before it) has a massive problem with enemy variety. So every single major monster you’ll encounter in the game (minus Yiga Clan members, bosses and Guardians) will be some sort of Bokoblin, Moblin or Lizalfos). Now what do you think happens if you avoid fighting them? Answer: You end up avoiding 95% of battles in the game. Without trying. In the original game, they balanced this out pretty well. You had the masks, yet each one had to be worn individually and could only fool one type of monster at a time. So if there was a mixed camp, they’d quickly see through your disguise. Not with Majora’s Mask. Now you can trick any enemy you want, with one handy item that can be used at any time. Yet that’s not the only game design issue it has. Oh no, Kilton’s masks were sold at certain points in the game. So upon starting, you could only buy a Bokoblin Mask, and then would need to clear Divine Beast quests to get access to the Moblin, Lizalfos and Lynel ones. But that’s not the case here. Majora’s Mask is about 2 miles from the edge of the Great Plateau, can be picked up immediately with no prior requirements and doesn’t need to bought for any sort of money in game. So a good player can just pick it up, and then run through 90% of the game avoiding almost every normal enemy encounter in sight. It’s pretty broken. And the rafts added in Master Mode make it even more so Why? Basically, it’s ridiculously overpowered, and means a pacifist run quickly changes from being a viable option to the most practical option in the game. Why fight anything that isn’t a boss when you can either ignore it or have it ignore you? Wear the mask, and hey presto, you’re set until Hyrule Castle. Still, while the equipment and Master Mode are a mixed bag, don’t take this to mean the DLC is bad. Or has nothing worth using. Because other features are rather good. The Travel Medallion lets you set a warp point wherever you like on the map, and return to it at will. That’s a really useful addition for long time players, and makes annoying areas like the north end of the Eldin Region much more practical to return to. 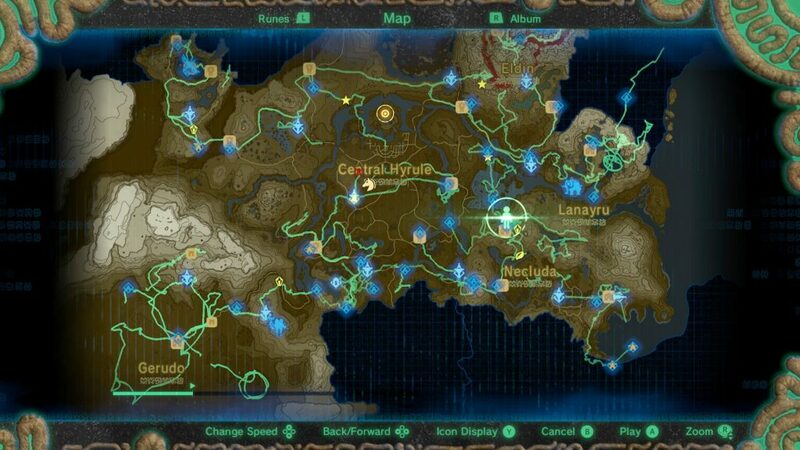 Whereas the Hero’s Path on the other hand shows your progress through Hyrule, marking a line through every area you visit. Again, it’s pretty useful, especially given how you can rewind your journey to see things like where you previously died. The biggest addition though, is the Trial of the Sword. This is basically the game’s version of the Savage Labyrinth or Cave of Ordeals, a 45 level gauntlet of monsters you fight through to power up the Master Sword. Unlike said gauntlets though… this one is actually fairly interesting. For starters, you don’t get your equipment in the trial like you would normally. So like on Eventide Island, you have to find new weapons and gear to fight off the monsters. It’s a pretty neat survival setup, and much more challenging than the easily cheesed versions in past titles. But that’s the only difference here. Oh no, the very layout of the place is different too. Why? Because unlike previous versions, it does away with the ’50 identical rooms’ format. Instead, every room has its own structure with trees, obstacles, water and anything else you can think of. This makes for a more interesting experience than the same structure repeated over and over. And the reward isn’t too shabby either. You get to power up the Master Sword to its full power (60) if you beat all the floors. However, it doesn’t end there. Oh no, every few floors, there’s a safe zone where you can re enter after leaving. Which can be used to power up the Master Sword by a small amount. So if you beat the first challenges, it permanently gets upgraded to do 40 damage. Beat the second set and it does 50. Etc. This means a gamer who’s not quite good enough for the full challenge can do part of it and benefit from a better Master Sword while training for the next set. It’s a neat touch, and encourages you to return to the area after every few Divine Beasts or so. So that’s what is on offer in the first DLC pack for the Legend of Zelda Breath of the Wild. Is it worth buying? Well, that depends on how much you liked the original game. Did you really like exploring the world and felt like a new challenge would be nice to experience? If so, you’ll love this. It’s got a simple hard mode, an extra challenge gauntlet and a few neat pieces to equipment to keep you occupied. This won’t satisfy you one bit. The armour will be ignored after ten minutes, the Master Mode won’t keep you interested for long and the extra trials probably won’t be your thing. In conclusion? Buy it if you’re a die hard hard Breath of the Wild fan, don’t if you want something a bit more substantive. A fun DLC pack for die hard fans, though more casual ones may want to wait until the second one instead.